You are here: > Home > Blog > How much UPS backup time do you need? How much UPS backup time do you need? When designing a power continuity plan one of the key aspects to consider is the amount of runtime required and how you will achieve it. So what options are available and what factors should you consider? The majority of power cuts in the UK tend to be momentary caused by local grid switching and weather phenomenon such as lighting strikes on transmission line. When these occur you expect your uninterruptible power supply to ride through them and keep your load running. The power cuts are of such a short nature that by the time you have noticed the audible alarm from the UPS, power has returned to normal. There is not even time to begin to shut down your systems or for automatic shutdown software to activate. The killer powercut is one where you are going to be off-line for several hours. This type of powercut when not planned for tends to be caused by an extreme event; examples include a JCB cutting through power cables, a transformer failure or again weather-induced event. If you do not have a local standby generator to kick-in replacement power, the UPS must have a back-up facilities rated for long enough to ride through the period. So how long is the right amount of time? In the 1970s many clients in the telecoms industry powering PBXs telephone systems were offered a UPS runtime choice of 1hour, 4hours or 7hours. The 4hour and 7hour runtimes equated to roughly a half or full working day. Whilst an hour allowed you to ride through most short-term power breaks. Believed to stem from an old BT engineering standard, these runtimes were needed because the PBX system itself could take up to 50minutes to reboot following an uncontrolled power break. Today’s servers tend to reboot far quicker than this (within minutes but their configuration is more complex thanks to cloud computing and virtualisation. In a small server room, it may be possible to power down servers and in this instance it is not uncommon to see runtime packs running from 10minutes to an hour or more. This set up may not be as achievable with a datacentre which may never see a complete power down unless there is a major refit or decommission. For these reasons datacentre UPS tend to have power backup running from 10 to 30minutes and be supported by a standby power generator. Having up to 30minutes runtime provides a safety margin if a generator will not start and provides time to find out why but the length of time is not sufficient for anything else. Modern datacentres can take hours to mirror even with disaster recovery (DR) processes in place. Another aspect to consider is how the back-up power is to be provided. 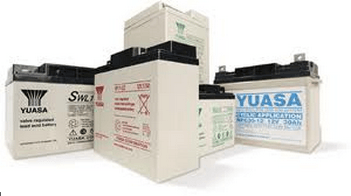 Most UPS systems will use a sealed lead acid battery. It is rare to find lithium-ion batteries installed with UPS due to their cost and charger management demands. Super capacitor fitted UPS are also rare due to the short amount of runtime they can provide. The same can be said for flywheel based UPS systems. Fuel cells, whilst more environmentally friendly than batteries tend to cost up to three times more and require more complex arrangements for fuel storage (hydrogen) and its delivery. Sealed lead acid batteries therefore remain the primary source of DC power for uninterruptible power supplies. 10minutes is seen as a reasonable starting point for a back-up time and this is moving further towards 30minutes as grid supply problems become more well-documented and frequent. If power is critical to the site’s operation runtimes of several hours are becoming the norm when a standby power generator supply is not available. Whatever the runtime battery pack installed, one further aspect to consider is the recharge time. A good rule of thumb is to see a recharge to 80% within twenty-four hours. This is based on the non-linear recharge curve associated with lead acid batteries which can require a longer period on float charge to reach 100% capacity. Whatever the UPS runtime you require, our power engineers can calculate your load and runtime and size a suitable battery and UPS system configuration to keep your power running.